Over 12 hours of continuous rest & carefree relaxation! 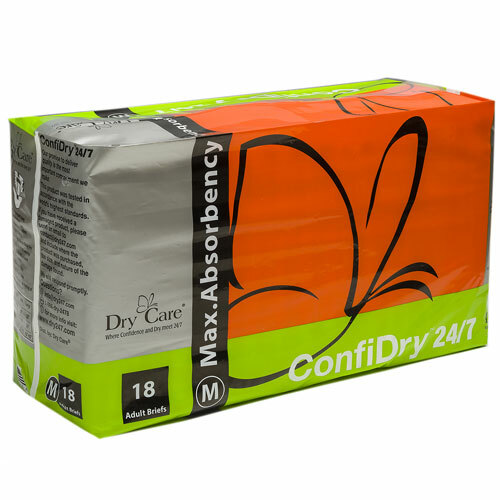 Designed for heavy incontinence & maximum protection, ConfiDry 24/7®'s 3-D Core Absorbancy System enables a capacity of up to 2-3 liters. This unique system makes this brief suitable for continuous and undisturbed full nights rest. 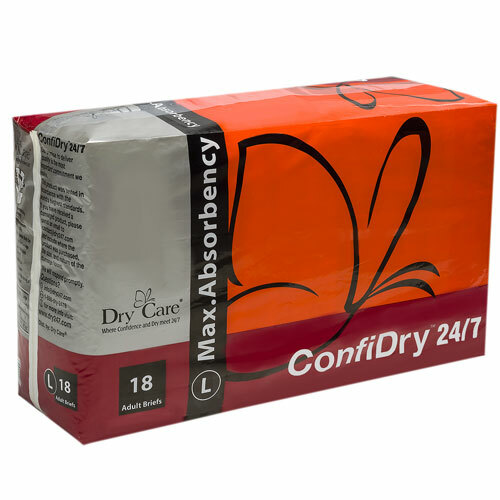 The dependable leak control system, keeps skin, clothing and bedding dry for 12 hours or more. All our briefs have white plastic backing! 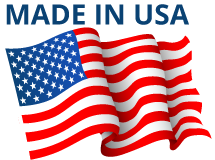 Quality, made right here in the U.S.A.
ConfiDry 24/7® unequaled brief allows for Only 2-3 changes in a 24-hour period. The exceptionally strong and durable construction considerably helps in preventing severe skin problems, guarantees skin dryness, odor control & pH neutralization, not to mention comfort, Comfortable soft lining allows walking, traveling and even exercising. Small 21" - 31" in. 25" in. 31" in. Medium 32" - 42" in. 29" in. 35" in. Large 43" - 65" in. 32" in. 39" in. We recommend you try out a sample pack before you make an initial order to see what size suits you best. Our sizes run a bit Larger than most companies, so try out a sample pack that consists of two different sizes. 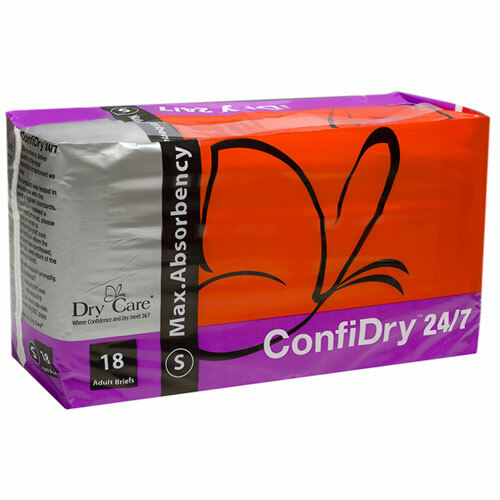 As always our customers are a priority and we are constantly looking to improve, We would love to hear any comments you have about our new ConfiDry 24/7® product line.